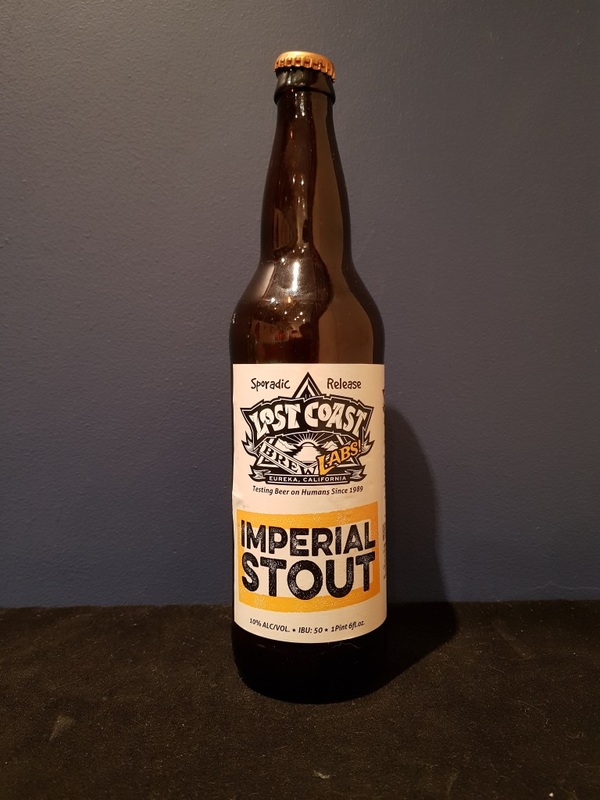 Beer #2561 is an imperial stout brewed by Lost Coast Brewery in Eureka, California, America. A drinkable but pretty ordinary and unimpressive imperial stout. The mouthfeel is pretty thin for an imperial, especially one with a 10% ABV, and the alcohol isn’t hidden particularly well. But it’s reasonably smooth with a little bitterness, some chocolate, roasted malt and a hint of coffee. The bottle size is 650ML with an alcohol content of 8.50% (containing approximately 4.40 AU / 5.50 UK standard drinks), and it costs $14.99.